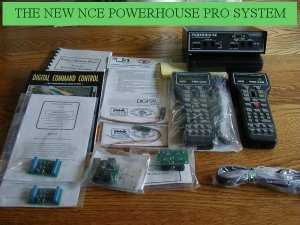 I started with the MRC Command 2000 system and later upgraded to the NCE Powerhouse Pro system. And now I have my NCE System connected to a computer that runs Decoder Pro for programming decoders on both the programming track and mainline! 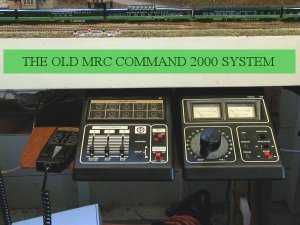 I also run Automatic Train Control, so I can run scripts that will run multiple trains around the layout. 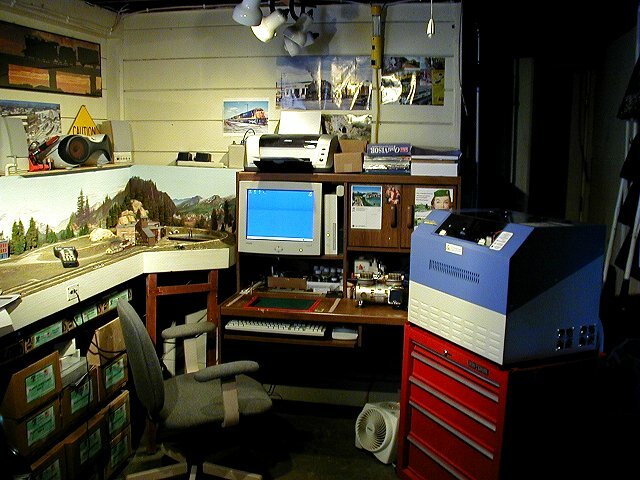 Also the computer is connected to a cable modem, and its speakers are placed on the layout so I can listen to streaming railroad content from Live Railroad Radio Communications over the internet. That's my work area. Having the monitor right there makes it easy to build a specific model, cause I can look up prototype photos over the web and get different perspectives of the model as I build. It works out better than just books!